Chimera Tool Aktywacja Chimera Tool Full (SAMSUNG HUAWEI LG HTC BLACKBERRY, MICROSOFT) Activation is a software licence activation to service Nokia Lumia Win7 and Samsung (Android), BlackBerry (OS 6, 7, 10) phones, i.e. allowing for repair IMEI, flash, unlock your phone or read information. With this activaiton you can service unlimited list of phones within 12 months. 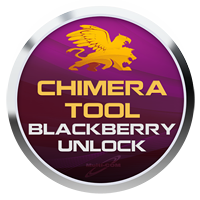 Chimera Tool BlackBerry Activation is a software license activation to service Blackberry (OS 6, 7, 10) phones, i.e. allowing for repair IMEI, flash, unlock your phone or read information. With this activation you can service unlimited list of phones within 12 months. Chimera Tool Samsung Activation is a software license activation to service Samsung (Android) phones, i.e. allowing for repair IMEI, flash, unlock your phone or read information. With this activation you can service unlimited list of phones within 12 months. 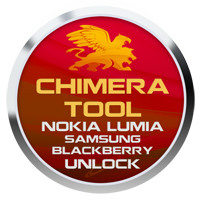 Chimera Tool Server Credits are meant for servicing BlackBerry, Samsung Galaxy and Nokia Lumia Windows 7 phones. 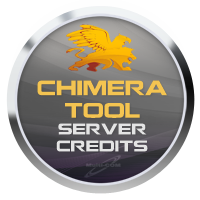 Chimera Tool Server Credits consumption can be viewed in the table below.